Monster Mountain is known for great motocross! 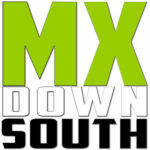 The Midsouth Motocross Championship Series is known for great motocross! What a coincidence! The MMCS and Monster Mountain sound like a match made in heaven! 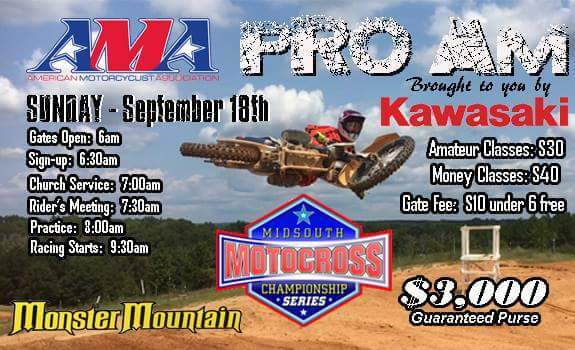 Well it all goes down this weekend when Monster Mountain hosts our 4th annual Kawasaki AMA Pro Am and Round 2 of the 2016 MMCS on Sunday, September 18th! NOTE: This is an AMA sanctioned event. AMA membership is required to race. AMA memberships will be available at the track. Visit http://www.monstermx.com/live for more info.